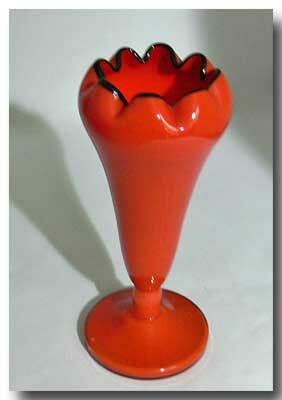 This is a lovely Czechoslovakian glass epergne designed by Michael Powolny for Loetz in a pattern known as Red Tango. 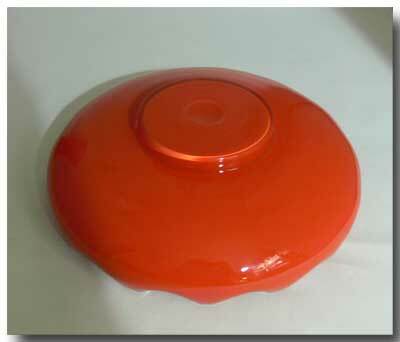 It consists of a bowl with a depression in the centre which perfectly accepts the upright vase. Both vase & bowl are wavy-edged and are trimmed in black. Both the bowl & vase have polished pontil marks. 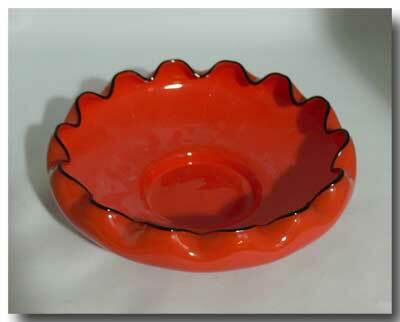 The bowl has a raised rim on the underside. 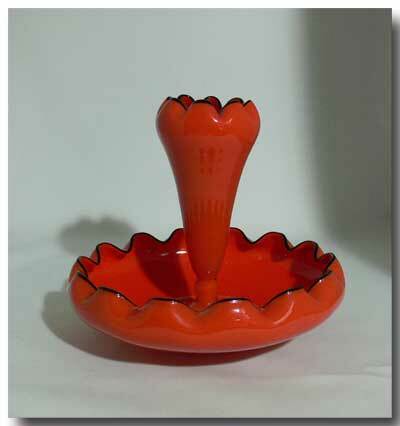 I would describe the colour as orangey-red and together with the design it is a perfect representation of the 1920’s/1930’s Art Deco Period to which it belongs. Both vase & bowl are in mint condition. 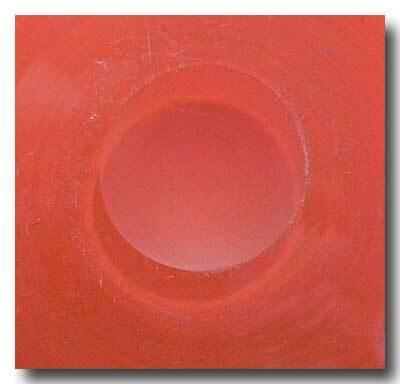 The diameter of the bowl is approximately 9.5 inches; the height of the vase is approx. 8 1/8 inches. When placed together the overall height is approx.8 ½ inches. Please note: any white spots you see are only reflections from the lights.